Americas FC 03G Crowned Texas Cup Champions and Become The #1 Highest Scoring Team in Texas! 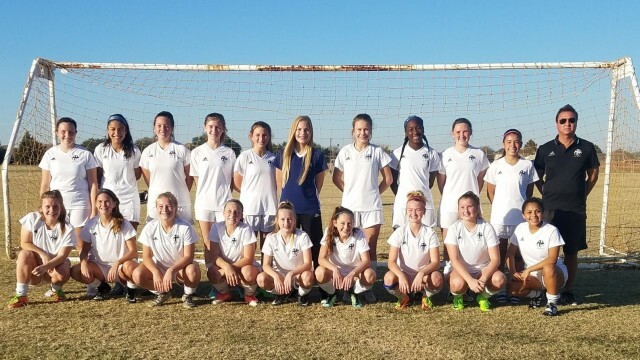 Congratulations to Americas FC 03G for being crowned Texas Cup Champs! The girls dominated both ends of the field by outscoring their opponents 8-1. The girls were relaxed and most importantly, had a huge break through in changing their ever evolving style of play. They continue to dominate the stat sheet and vaulted themselves into a #1 ranking as the highest scoring 03G team in Texas! Last year they finished #2 in the nation and are currently sitting at #3 so we will see if the girls can get to the top of the mountain!